Typically, when I ask my client what type of cooktop or range they will be using, the response is either electric or gas. 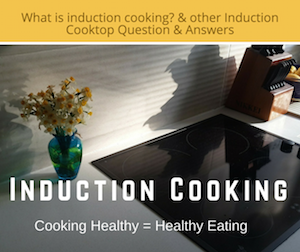 Few clients realize that there is a third option that is worth considering: induction. Induction cooking has come a long ways since 1933, when it was first introduced in the “Kitchen of the Future” at the Chicago “Century of Progress” World’s Fair. Fairgoers witnessed the miracle of “cool heating” using electrical power that required much less energy than standard electrical cooking appliances. For years thereafter, attempts to perfect induction cooking units continued in the U.S., but alas, the induction cooking units were plagued with problems and U.S. manufacturer units went off the market in 1999. Regardless, Europeans and Asians pursued induction cooking research and development (R&D) due to their concern with energy conservation. Ultimately, their efforts paid off and led to a breakthrough in U.S. commercial applications in restaurant kitchens. As a result, chefs began to recognize the benefits of induction cooking. Through word of mouth and experience, early adopter home cooks began to embrace induction cooking as well. Safety — the cooktop is cool to the touch immediately after use. Universal design compliant — induction cooktops are thin and can be inserted so that knee space is available underneath without any interference. Cooking vessel has to be made of magnetic material. So if a magnet sticks well, not loosely, to the bottom of the vessel, that vessel works with an induction cooktop. Noise. Sometimes the actual cooking process produces noise through the cookware because it is not top quality —- the interior pieces of the cookware can rattle. Easily remedied by investing in quality cookware.